Any time between now and May 4, create a one-minute video about why the ocean is important and you could win $500 and a GoPro camera from One World One Ocean. Prizes will be awarded by One World One Ocean to one grand prize winner as well as to winners in three sub-categories: Best Humorous Video, Best Music Video and Best Video from a Non-Coastal City. That's right, even if you're landlocked the ocean is important! All submissions will be judged by Oscar-nominated filmmaker and One World One Ocean founder Greg MacGillivray. The top 10 videos will then be posted on One World One Ocean’s website on May 18 where the public will get a chance to vote for their favorite. 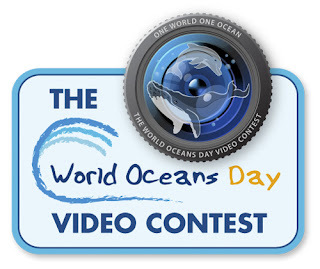 Winning videos will be announced on June 8, which is World Oceans Day. Here is a link to their contest guidelines. One World One Ocean believes that great storytelling can change the world, so by enlisting the public as the ocean’s storyteller, they hope to spark a movement to protect the blue planet. Using the power of film, television, new media and education initiatives, One World One Ocean's mission is to change the way people see and value the ocean — and motivate action to restore it. 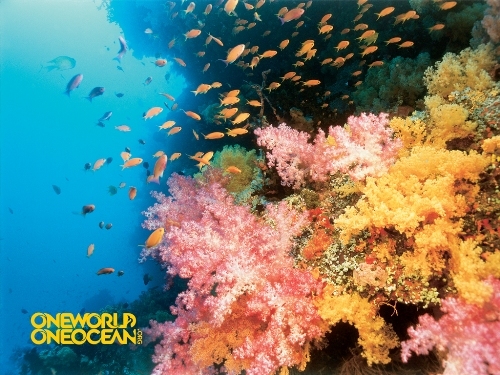 You can learn more about One World One Ocean, and download artwork like the image above, at www.oneworldoneocean.org.